So you’re taking a road trip. You got the family and bags all stuffed in the car. The kids are in back playing with their toys and gadgets when one of them remarks they want to do Facetime with grandma or surf the web. Trouble is, the iPad or other tablet is Wi-Fi only, and you don’t have a mobile hot spot with you. Well, if you’re driving a late-model GM vehicle with OnStar, you can turn your car into a rolling hotspot for as little as $5 per month, and have access to speedy LTE service through AT&T’s network. You are right in thinking there is quite a bit of fine print with such an offer, but it is not so difficult. That $5 per month gets you 200MB of data. That is good for 10-13 hours of internet browsing, and 6-7 hours of streaming music. That $5 rate is a discount, available for those that subscribe to GM’s OnStar safety and navigation service which runs between $200 and $300 per year. A $15 per-month discounted rate will buy 1GB of data. The good news is that GM is also offering a-la-carte pricing to turns your car into data hub. First, if you buy a new GM vehicle, you get a three month trial for free. That trial gives you 3GB of data. If you want to keep the service, $10 per-month gets you 200MB of data. $20 buys 1GB, $30 buys 3GB, and $50 per-month nets you 5GB. GM will also have one-time purchase options available as well. 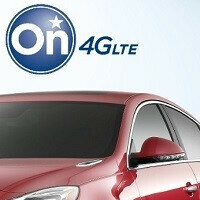 $5 will buy OnStar subscribers and non-subscribers alike 250MB for the day. You can also buy 10GB for use over a 12-month period for $150 or $200 for OnStar subscribers and non-subscribers respectively. What if you happen to be an AT&T customer already? Well the good news is you can just add your LTE-equipped vehicle to your Mobile Share plan for $10 per month, which to us seems like the best deal, and it keeps all your wireless service on a common bill. This service will be available beginning next month and the 2015 model year Chevrolet Malibu will be the first GM vehicle equipped to use the service. GM plans to add the 30-plus remaining vehicles in the line-up to the OnStar feature by the end of this year. The people who subscribe to this car hotspot should have to pay 10X the insurance as the rest of us. It's pretty much a guarantee that nobody will be paying attention to actual driving. It's also funny how ATT -- who has a big advertising campaign against dangerous driving with texting/cellphones -- is more than happy to sell you whole-car distraction cell service for $10/month. "Customers using OnStar with 4G LTE can take advantage of a powerful antenna that’s stronger than that of a smartphone, along with a Wi-Fi hotspot that operates without draining a mobile device’s battery. That hotspot is on any time the car is on." What did I miss? Which, according to you, is what? Well that had nothing to do with the article. It's for traveling families to keep the kids connected and happy. It's not necessary promoting driving and using your cellphone or tablet. Were mobile devices that deleterious to driving, the ubiquity of such devices should have led traffic accidents to skyrocket. Yet, most people are better than you take them for, since traffic accidents have actually been in a steady decline. Actually ...Mxy is right. The very first paragraph gives a family trip with the kids scenario. The same complaints yall have can be said about having phones in cars in general.